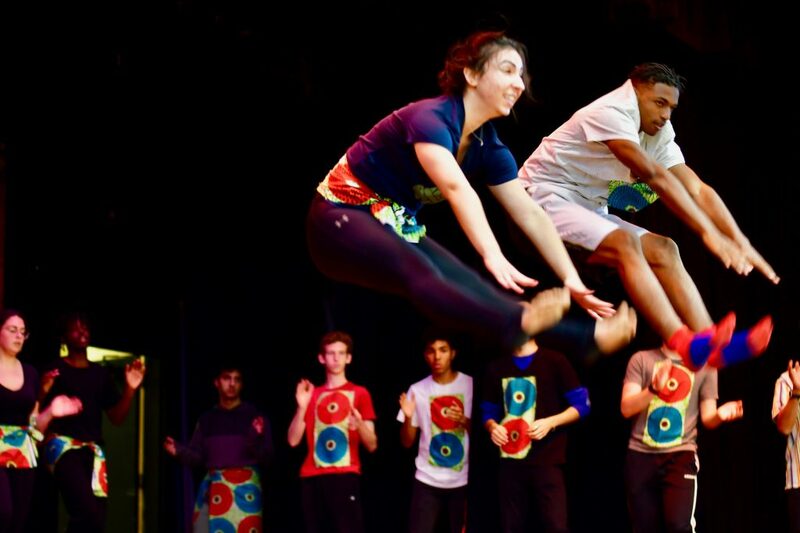 To conclude the Thanksgiving Assembly on Wednesday, November 21st, the class of 2019 impressed the audience when they performed the West African Dance they learned as part of their African History Main Lesson Block. 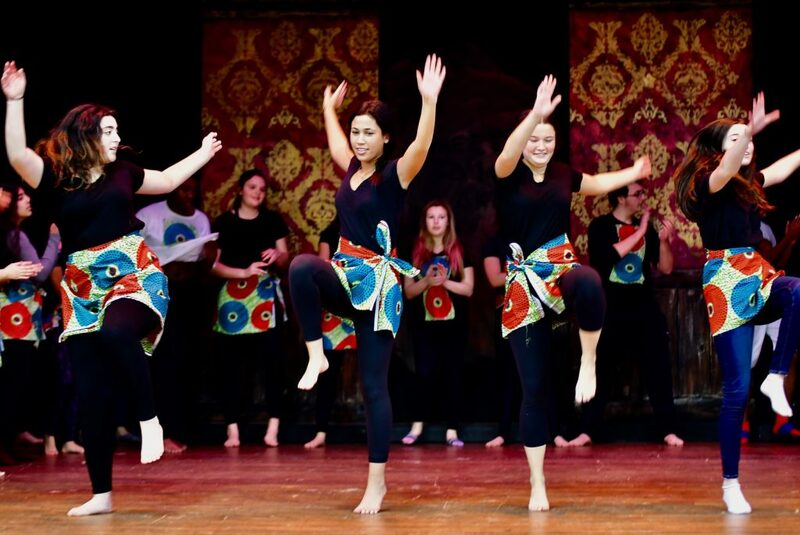 A tradition at the School since 2010, the dance is the culmination of this history course, allowing the seniors to experience firsthand an aspect of the cultures they have been studying for the last month. Throughout the block, students learn about African History and the role of Africa in the world today. Special emphasis is placed on the various cultures that arose on the continent, from ancient times, through the colonial period and up to the present. Past dances have included, Gum Boot, a dance originating from miners using the sounds of their boots as a form of communication, as well as more traditional African dances that reflect the different musical and movement styles of their country of origin. 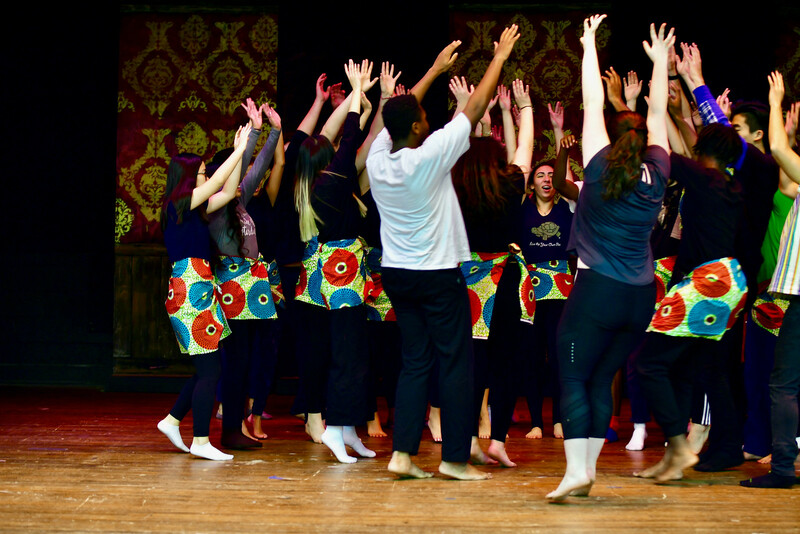 Through understanding and subsequent performance of an authentic dance, students gain a greater appreciation for the contributions and struggles of the African people as each dance reflects aspects of the culture and time period in which it was created. This year’s dance originated in West Africa, and is called Kakilambe, named after the great spirit of the forest who protects against evil spirits. The performance began with the calling of Kakilambe, and functions as a ritual that celebrates life and the harvest. This ritual was brought from Africa to the Caribbean during the slave trade and influenced the Moko Jumbie, the stilt walkers, that can be seen in Carnival celebrations. Many of the dance steps in Kakilambe began in the great empire of Mali and have morphed into dance steps that can be seen in modern Hip-Hop. See the full performance in the video below. A special thank you to Anayo Michelle, owner of Layla’s Dance & Drum for her expertise and enthusiasm with the dance during this Main Lesson block.